Making Finding Euphoria more affordable, or even free! Finding Euphoria is for everyone, no matter how much you can spend on shows and festivals. We put together a list of all the ways to save, so that anyone who wants to experience Euphoria can make it out to Carson Creek on May 12. Friday, April 25 is the LAST DAY to buy your pass with a Payment Plan! 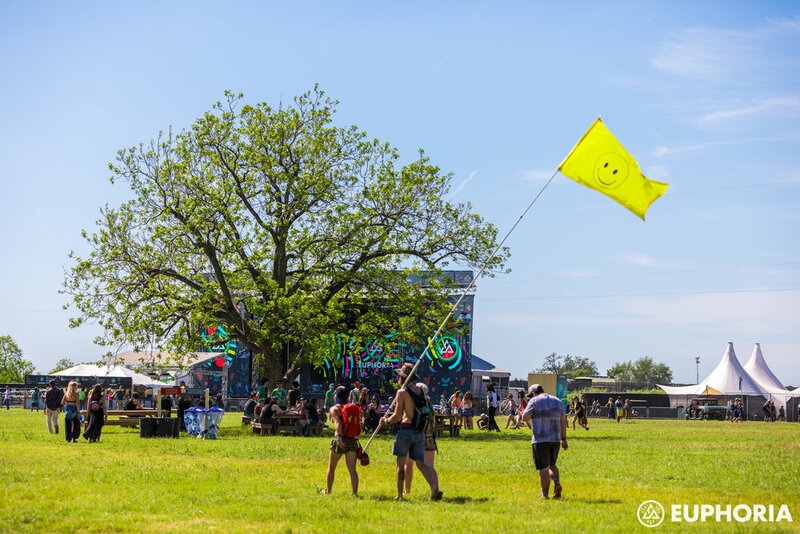 Purchase any ticket type with a Tixr Payment Plan - GA, VIP, Camping, Group Camping Packages, or Glamping rentals - and break up the cost instead of paying all at once. Start yours right now. Prices go up soon! The current ticket tier is running low, so grab your passes before May 1 to save some money. Friday, April 25 is also the deadline for performer applications. Are you an artist with an idea for an art installation? Are you a dancer in a group? A fire breather, a graffiti artist, a hoola hooper -- whatever you artistic skill, bring it to Finding Euphoria and get your ticket free. Apply to bring your art or be a performer here. Do you have a Facebook, Instagram, Twitter or even Spotify account? Then you can earn points on Social Ladder and use them to redeem a Finding Euphoria pass! Not as into social media? You can also set up a code so when your friends buy their passes using your code, you earn points. Read about the social challenges and start earn points here. Join the Finding Euphoria team as a volunteer! Work one 6 hour or 9 hour shift to earn your pass. Fill out our Volunteer App today - it's closing soon! Get major discounts by purchasing your passes in groups instead of individually. Our Group Camping Packages include everything you need for the fest: GA Passes, Camping Passes, and Car Camping Pass, all in one purchase. Group of 4 get 20% off, and groups of 10 get 50% off. Find the Packages for sale in the exact same spot as the rest of our passes! You can also find your squad in the Everfest camp, and save on your Camping Pass at the same time. Join Everfest Premium to get a $10 Camping Pass, a free VIP upgrade or 50% off a Series Pass. Cross your fingers, and enter all of our giveaways! We have a Medasin Meet&Greet that comes with 2 VIP passes, a BlackGummy Giveaway with 2 VIP passes and a t-shirt, and another exciting opportunity coming out tomorrow. Our favorite fest partner Everfest also has a Finding Euphoria giveaway that includes 2 VIP tickets, merch and an Everfest premium membership. Check out our artist giveaways blog for all the details, and follow us on Facebook, Instagram and Twitter to be in the loop for upcoming giveaways.